Up to 6 players can get stuck into chaotic ale-fuelled bar brawls to settle once and for all which party of adventurers can best hold their drink. 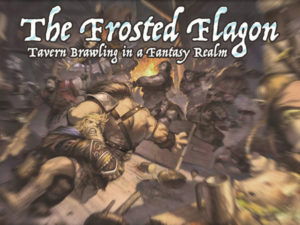 Olaf Bjornanusson, landlord of The Frosted Flagon, can’t get tavern insurance anymore. It’s a good job that blind drunk adventures carry so much petty cash on them, or Olaf might not be able to pay Francis, the town’s furniture-maker, day-in and day-out for new benches, stools and bookcases. 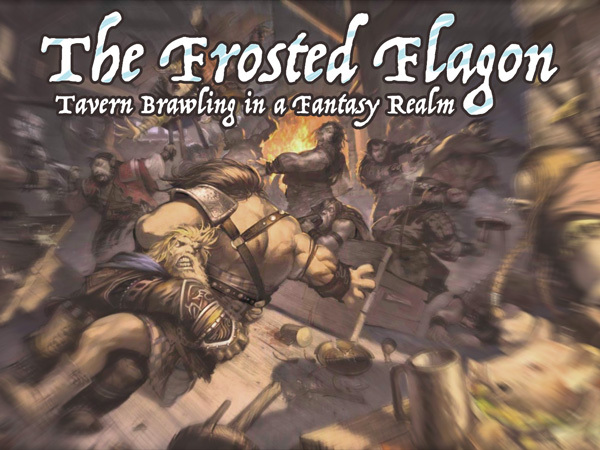 The Frosted Flagon is a chaotic multiplayer skirmish wargame, played in the cramped environment of a fantasy tavern. Player’s build small bands of drunken adventures with various levels of skill and alcohol tolerance. These adventures are over-burdened with petty cash looted from the dungeon they have just returned from and after a few to many drink are spoiling for a fight.